Chris hasn't confirmed he's a dad – Karrueche basically did! 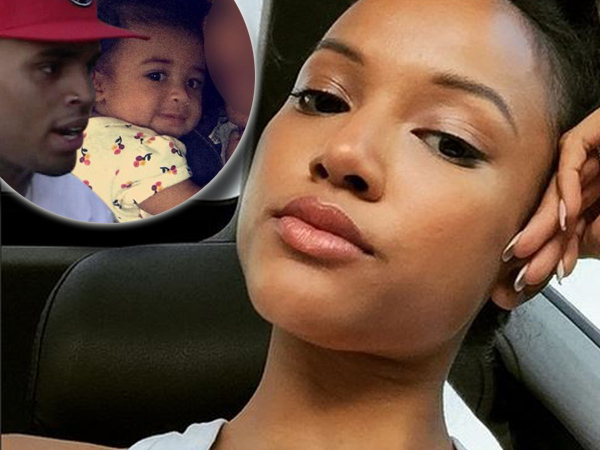 Karrueche Tran “can only take so much” in the wake of reports that boyfriend Chris Brown has seemingly fathered a child. It was claimed on Wednesday that the Forever singer was a parent to a nine-month-old baby girl. And while the 25-year-old is yet to confirm the news himself, it seems his on-off girlfriend has done it for him. The 26-year-old has had a tumultuous relationship with Chris since they first started dating in 2011. As well as witnessing him return to his former flame Rihanna in 2013, only to take him back months later, Karrueche had also stood by him during his stint in prison last year. But the latest speculation is clearly the final straw for the pretty model, with her ending things for good with her tweet. TMZ was first to break the news that Chris had allegedly had a love child with former model and singer, Nia Gonzalez. The 31-year-old has reportedly known the musician for “several years” and on Wednesday the outlet updated the story saying that Karrueche had actually partied with her only a few months before she fell pregnant. The website ran a photograph of Chris’ rumoured baby mama next to Karrueche at a pool party in Las Vegas, Nevada in May 2013. Also in attendance was singer Christina Milian, while the Turn Up the Music performer is seen in another snap posing with his male friends. While Chris and Nia are not thought to be romantically involved now, they are reportedly "on very good terms" and he is "happy about being a father".